The Indian constitution states that “the state shall strive to promote the welfare of the people, protecting as effectively as it may a social order in which justice, social, economic and political for all.” It is on these basic values that India continues to endeavour to provide its people basic socio-economic requirements such as food, employment and shelter. In general, shelter and housing is a state subject. However, the subject of housing is not specifically mentioned in the constitution. Housing is an important sector of the economy and its provisions are largely determined by state policy and interventions. With the dawn of new economic policy in the early 1990s India has witnessed a policy shift in almost all sectors of the economy including the housing. Even in the era of market-led economy the state has played the role of the provider of affordable housing for the poor and economically weaker sections of the societies within the ambits of available resources. The government of India has set up an ambitious target of providing ‘Housing for all by 2022’. This scheme has several provisions for different landscapes of the country. Affordable housing for the urban sector was approved by the union cabinet in June 2015 and is covered under the ministry of housing and urban poverty alleviation. The attempt has met with initial success. It has approved investments of Rs 1,10,753 crore in the affordable urban housing sector in the last two years. The budget 2017 has increased the allocation for both PMAY Grameen (Rural) and Urban. Allocation for Pradhan Mantri Awaas Yojana (Grameen), a housing scheme for the rural poor, has been raised by 44 percent to Rs 23,000 crore for 2017-18. It will go towards building 10 million houses for rural population. The total allocation for PMAY (Urban) has increased from Rs 5,075 crore in 2016-17 to Rs 6,043 crore in 2017-18. All’ as a key focus. As per Census 2011, 377 million Indians, comprising 31 percent of the population, live in urban areas. Further, the number of towns in India has increased from 5,161 in 2001 to 7,933 in 2011. The urban population is expected to reach nearly 600 million by 2031 as per various estimates. million units, of which housing for EWS and lower income groups (LIG) – families with a monthly income of up to Rs 16,000 – accounts for over 90 percent of the gap. This housing shortage has led to a proliferation of slums and squatter settlements. So, the emphasis of the government is on affordable housing for the urban poor. Accordingly, the government has merged several schemes of the previous governments and introduced a comprehensive policy framework to mitigate the dangers which homeless dwellers face. Under PMAY, two crore houses for the urban poor will be constructed by 2022 at the rate of 30 lakh houses per year. The objective of the scheme is to construct affordable pucca houses with water supply, 24x7 electricity supply and toilet facility. In the first year, the implementation and pace of growth of this scheme was relatively sluggish in relation to the projected target. However, the emphasis given by the government on the PMAY has shown positive trends towards attaining the stated goals. The annual budgets of 2016 and 2017 initiated several imminent measures to promote affordable housing. The budget of 2017 has given infrastructure status for affordable housing. This has allowed additional private players to participate by making big investments. By taking this step the government has not only ensured the enhanced participation of the hitherto disenchanted private sector but has also achieved improved investment from the financial houses for its flagship programme. The PM Awas Yojana (Urban) will be carried out in three implementation phases. Phase 1 has been completed and a total of 100 cities saw the developmental work being undertaken. Phase 2, from April 2017 to March 2019, will cover and develop a total of 200 more cities. Phase 3 will cover the rest of the cities. The government would grant a subsidy to people from different categories, so that they could buy a home for themselves and their families. The subsidy amount may range from Rs 1 lakh to Rs 2.30 lakh. Further, it will also provide an interest subsidy of 6.5 percent on housing loans availed by the beneficiaries for a period of 15 years from the start of loan. Cumulatively, all these steps will enshrine a paradigm shift in the affordable housing sector and, hopefully, it will usher revolutionary changes in the lives of marginalised segments of our society. The PMAY is quintessentially social inclusion scheme which has incorporated various provisions to help marginalised people. Not only it has in-built measures for the EWS and LIGs but it also contains several policy initiatives which benefits women. It could well be termed as a pro-women scheme. Under this scheme the houses will be allotted preferably to the female member of the family which in itself is a welcome step. Also, while allotting ground floors in any housing scheme under the PMAY, preference will be given to differently-abled people and senior citizens. The houses built under this scheme will have eco-friendly and energy saving architecture that will further help in reducing the burden on the dwellers in particular and to the environment in general. Additionally, the ministry has set up a technology sub-mission that will encourage adoption of modern, innovative and green technologies and building material for quicker and better quality construction of houses. Seventeen global goals constitute the core of the UN’s historic Sustainable Development Agenda. One of the critical goals is to ensure access to adequate, safe, affordable housing and basic amenities for all by 2030. The current government has shown a clear intent and a determined effort to provide affordable housing to the homeless, particularly the urban and the rural poor as well as EWS. 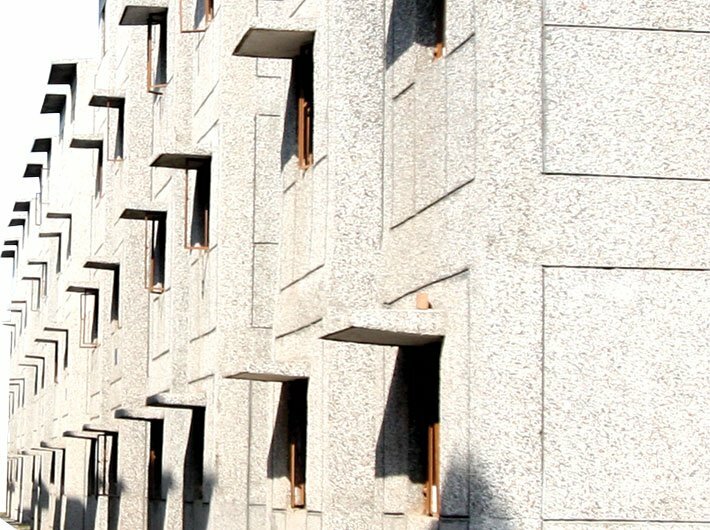 The housing problem is not unique to India. There are many countries across the globe where there has been a severe housing problem in the past. Many of these countries have made efficient and concerted efforts to overcome this challenge. Singapore and many other South-East Asian countries have successfully solved housing problem in a planned and effective manner. India is unique in several aspects and cannot be compared to these countries, but there are quite a few clues in their policy framework which we may follow to ensure Housing for All by 2022 – which happens to be our 75th independence anniversary. Affordable housing for all will not only improve the quality of life of the EWS and LIG sections but will also improve productivity in the economy. Increased supply of housing will boost the demand in infrastructural goods and other construction materials. Moreover, it will also boost housing finance and other service sectors. Together these steps will result in creating jobs in construction and other sectors and will have a multiplier impact on income generation. Dr Puspa is MP (Rajya Sabha). Dr Ramaswamy is former pro-VC of APG Shimla University and legal adviser to the MP.